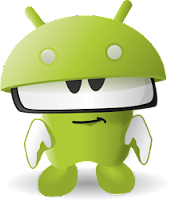 AZbox Canada has an update about Android for AZbox. We can't say we are really happy with it but we can't blame a distributor. We have to blame the makers of the drivers. Significant progress has been made in getting a functional Android operating system for the newer Me lineup of AzBox HD satellite receivers as we now have working Availink tuner drivers. Initially, efforts were focused on the AzBox Me model as it features 256MB of working physical memory while the miniMe only has 128MB. However, due to the recent temporary manufacturing stoppage of the AzBox Me receiver, we were forced to refocus our efforts on making an Android OS release for the miniMe instead and we are hoping to have an initial release before the end of the year. We will also make a release for the AzBox Me once the manufacturer resumes production and units become available to distributors again. AzBox Canada is committed in developing the best operating system software for the American market. We apologize for any inconvenience this delay may have caused. Okay, this is interesting. In this article is told the production is temporary stopped. An another shop say it's discontinued. See link shop and what we've wrote about it. One thing is for sure: 2 separate sources are confirming now there is something going on with the AZbox ME. About Android: The AZbox ME is still a great box. Official Opensat last announcement was : Link . So there was known there would come no official Android for AZbox. Sucker is the one who continues to buy AZBOX! Always injuring clients this AZBOXMe with the android was almost two years!